Last week was without Premier League football, with the FA cup and European cup competitions taking centre stage. It is glaring to everyone that even the teams involved couldn’t wait to get back to business of the EPL. Liverpool wouldn’t want their weeks this vacant next season. They travel to the King Power to face the faltering Leicester with the aim of keeping up with the top. In this piece we particularly look at how the top 6 teams will battle it out for the Champions League places come May. The top six teams on the log are separated by 12 points. Not so much gap in-between considering 39 points are still to be played for. But the various commitments and forms of these teams are to be the determinants in the run-in. Below is a brief analysis of the chances of each team & predicted final position. 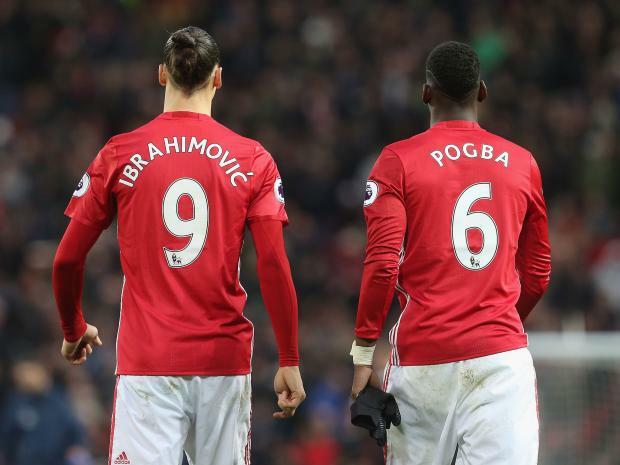 The Special One is beginning to get things right at Old Trafford. The team spirit which was frail at the beginning of the season seems to be flourishing. The “never-say-die” mentality is creeping back and the fans are optimistic about their beloved team again after some 3 years of uncertain performances. Jose Mourinho’s team has depth, and this is obvious from their continued participation in 4 competitions. Zlatan Ibrahimović has obviously lived up to his lofty standards, in spite of all the questions around his age. The big Swede has scored 24 goals in 36 games – an enviable feat for other strikers in the country. He’s been the main goal getter for United this season. For next season however, Mourinho must strongly consider an alternative to Zlatan. A player like Griezmann, for instance, must be brought in if they hope to mount a title bid. For now, though, they have to make sure they maintain their good form and keep getting the points. They are well on their way to the top echelons of European competitions next season. 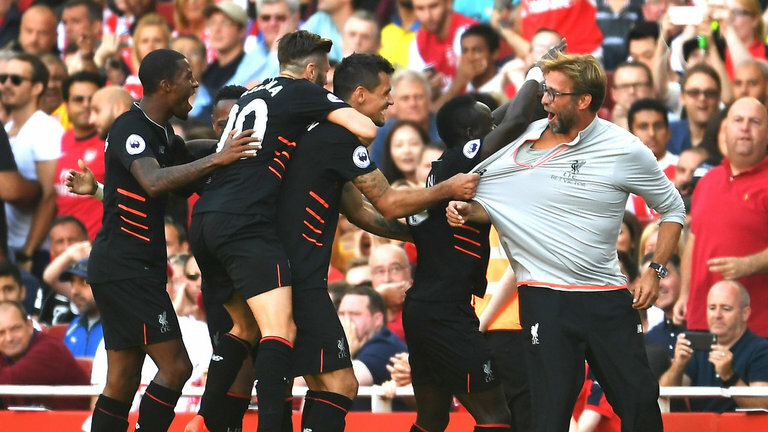 Jürgen Klopp’s first full season in charge of The Reds and things look very bright for the future. Their style of play has made most of their opponents uncomfortable from kick off. They could be criticized though, for seeming like a one man(e) team. The absence of Sadio Mané during the AFCON left the team in shambles. They were without a win during that period and also exited 2 cup competitions. The bane of Liverpool this season has been playing against the “small” teams. Burnley, Hull, Swansea and Bournemouth are the only teams to take 3 points off them. They have many such games still to come, especially with teams struggling for survival. 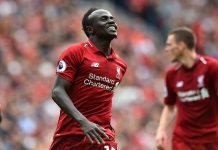 Another issue with Liverpool is the squad depth. There simply isn’t enough quality in the team to rotate around when the need arises. But they only have the league to worry about going forward so hopefully it won’t be much of a problem. A big one to call, but if Liverpool continues with their performance against small teams, they might have to settle for less than expected. Again and for the umpteenth time, Arsenal’s season seemed crashing down in the month of February. This is synonymous to the period when they also crash out of the UCL, at the round of 16, disgracefully. The team has, over the years, been accused of not having the heart and character to sustain a strong end to the campaign in spite of the array of talent at the club. Manager, Arsene Wenger’s future was resolved recently when he mentioned he’d still be managing for another four years. Where that would be is a discussion for another time though. 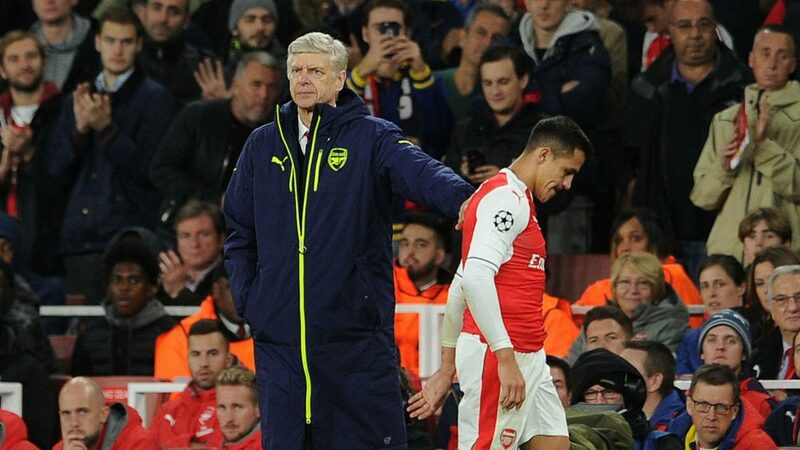 Uncertainty around Wenger’s future has not helped the likes of Alexis Sanchez and Mesut Özil. The pair are yet to sign their respective contract extensions beyond the summer of 2018, prompting other teams to be on alert for a possible transfer. Sanchez has been the star man: He’s sometimes been frustrated by the team’s inability to step up when it matters but his hard work has continued to shine through. The Gunners have come short in big games this season and at times been fragile in the smaller games. That hasn’t left them out of the top four spot still and they just might, as usual, continue their trend of always reaching Europe. They certainly have the quality to do so. 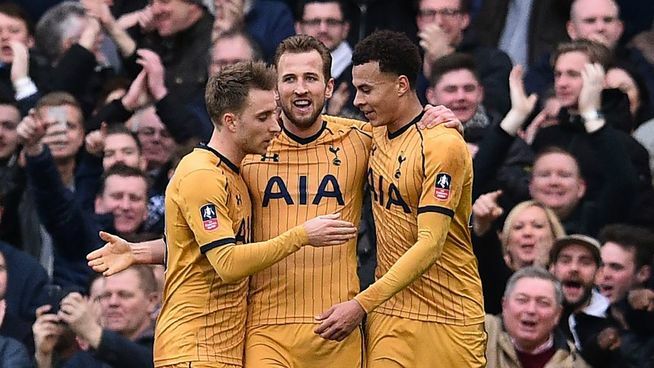 Mauricio Pochettino has been able to assemble a young crop of talents mostly of English players. He’s shaped them into a very compatible unit that can hold their own against the league’s very best. Indeed, they are seen as a top club now – always there or thereabout. A UCL campaign earlier this season ended dismally, but they’ve since remained in contention for returning to the same competition next season. They have had strong showings against most of the teams in the division, losing just 3 games so far. Spurs remain in 3 competitions and the mentality of the team would be put to test again as it was at the end of last season – where they went from being title challengers to finishing 3rd, behind Arsenal. 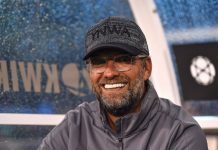 Their next five games are all winnable and the only factor likely to derail the campaign for them is their continued aspirations in the Europa league. A strong mental finish is highly important and this is what this Spurs team are yet to display under Pochettino. Pep Guardiola soon acknowledged that the EPL is indeed very difficult and competitive after a 5-game winless streak. Losses have come against both small and big teams, 5 in all so far. 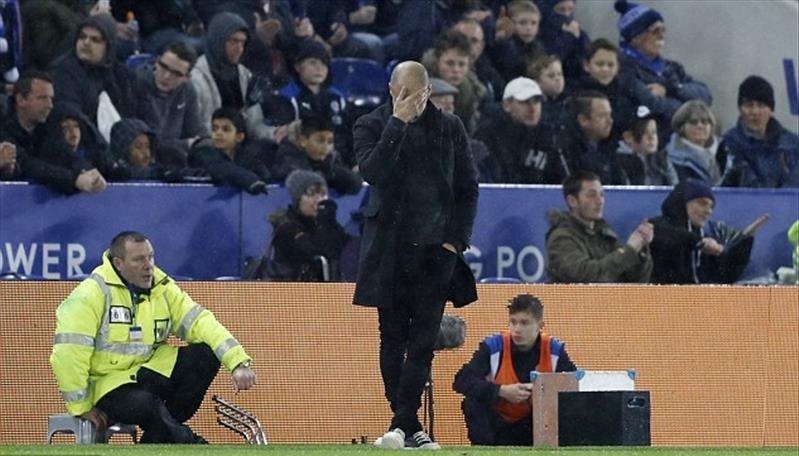 Perhaps their lowest point this season has been losing to the dismal champions, Leicester City, with a Vardy hat-trick amongst the goals in the 4-2 drubbing. They haven’t had too many spectacular games as well. The signing of Gabriel Jesus in January added some impetus to their campaign. The teenage Brazilian shone in the games he appeared (4 goals in 3 appearances) before a foot injury ruled him out for the season. The bane of City’s performances this season though, has been their defence. Guardiola has not been able to stick to a constant back 4 and his personnel in the centre half positions have been below par. John Stones’ ability to defend is under serious scrutiny. The team’s tactical approach has also been questioned. The full backs are not made to defend, a scenario that is constantly being exploited by teams in the division. What City have going for them is the technical nous of the manager and the formidable front 4 that could wreak havoc on any team because of their creativity. Roman Abramovich must really be relishing the opportunity to return as English champions next season. Twice in 3 years now – enviable by any standard considering the stiff competition in the EPL. The man he has entrusted to achieve this, Antonio Conté has lived up to his championship winning repute – one he had when he won the league title the entire seasons he managed Juventus in the Serie-A. Conte’s decision to adjust Chelsea’s back 4 to a back 3 was pure genius. It has enabled him deploy the personnel available to him to their optimal use. Eden Hazard has been blazing hot this season, Diego Costa has continued to excel after the disappointment of last season and even players like Moses & Pedro have become main fixtures in the starting line-up. 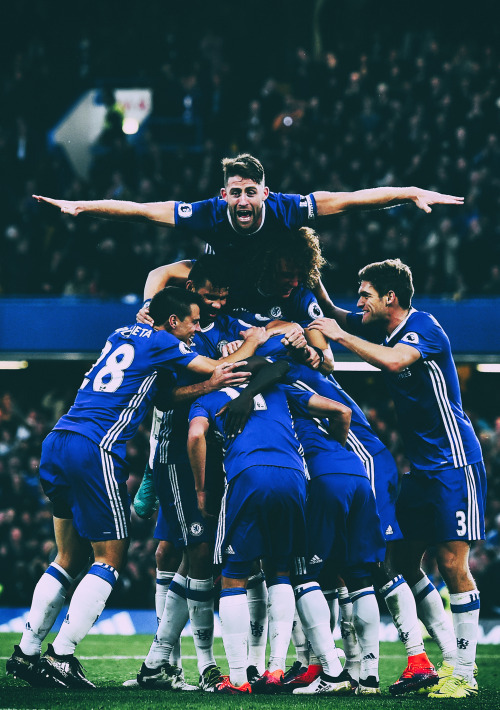 This pretty much sums up Chelsea’s season; soaring! In this team, it is hard to pick a weak link, a special trait of Conté’s teams and that really has yielded the much desired results. The times they’ve come short this season have been against top teams – Arsenal, Liverpool and Tottenham. They have swept aside the lower teams with comfort and given the top teams a big headache at coping with their counter attacking style of play. They sit 8 points above the chasing pack on the table and it’ll only take a disastrous run of form to relinquish such healthy lead. Previous articleClaudio Ranieri Sack; Leicester’s Loss?